So many of you have requested this and we are so excited to finally be able to offer it to you! This is a 16 page (17 with cover) booklet that will help welcome a new member to your team. The booklet offers tips and advice to guide him/her through their first few months with Young Living. There is also blank lines for you to fill in for your team name, sponsors name/number/email, etc. 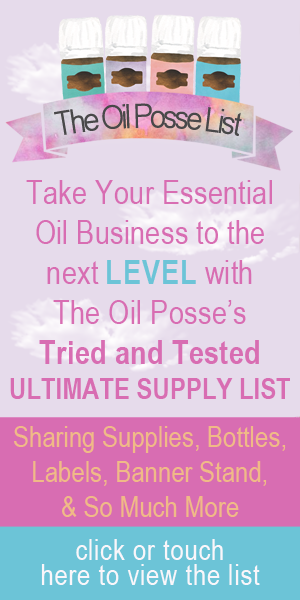 This entry was posted in DIY, Essential Oils, Family, Marketing Material, Resources, Welcome Guide and tagged Booklet, Customize, New Member, Team, The Oil Posse Team, Welcome, Welcome Guide, Young Living on September 5, 2015 by Jordyn Lei. The Oil Posse Team has put together some of their favorite gifts for welcoming new members. Every member will have a bit of a different interest and/or personality. If you are able, try and match the gift with your new members interest/personality type. Best of all, just have fun! Diffuser Necklace (round), Surgical Grade Stainless Steel, Silver, 16” chain with 2” extender and 3 pads — This is a great option because it is made from surgical grade stainless steel and should not tarnish, making this a better choice for a diffuser necklace. Diffuser Necklace Pendant (different colors to select from), Surgical Stainless Steel, No Pads Required — This is a great option because it is made from surgical grade stainless steel and should not tarnish, making this a better choice for a diffuser necklace. This particular style does not require diffuser pads. Canvas Tote Bag, Natural, 8”x8”, Pack of 12 — Nice mini canvas tote bag to place gifts within . . . this particular bag would allow someone to write/paint (with the use of fabric pens/paints) on the bag . . . add a little message, paint your team logo . . . the options are endless! Sharpie Stained Permanent Fabric Marker, Assorted, 8-Pack — One option for fabric pens (markers) to use on the canvas tote bags. Flip Board for displaying the recipe or presentations — This is a great board to use for an “on-the-fly” workshop, introduction to Young Living, whether it be for the oils or for the business side, this is perfect to keep in the car, you never know when an opportunity to share Young Living with others will present itself. GAMEPLAN 101 and Harsh-Chemical Free CD — get information and labels at the link provided here. RISE of the Entrepreneur: The Search for A Better Way, DVD — This DVD is highly recommended by a number of Young Living’s top leaders. They say it has assisted them in having better focus on priorities that are crucial for taking your business to the next level. Wool Dryer Balls, XL size bigger than a tennis ball, set of 6 — Wonderful non-toxic alternative to dryer sheets. Place a drop of essential oil on the dryer ball, allow to sit for about 10-15 minutes, then throw in the dryer with your wet clothes. Dryer balls work to reduce static and reduce dry time. Life Science Publisher Gift Card — Gift cards are now available at Life Science Publisher. Click HERE to purchase gift cards from Life Science Publisher’s. *UPDATE: It is our understanding that Life Science Publishers stopped providing gift cards but you can always purchase a $25 visa card. You can find those at most department and/or grocery stores. Essential Oil Carrying Case, 30 bottles (5, 10, or 15 ml), several colors to select from — This is a fantastic starter carrying case. Several colors to select from and easy to carry due to the handle on the top of the case. Oil Labels — We made oil bottle labels specifically for the PSK. They are available for you to print your own, saving you quite a bit of money and making a full set cost about 30-50 cents per set. There are several sets on one page of labels. Click/Touch “Oil Labels” to reach the page or click/touch HERE. Flip Board for displaying the recipe or presentations — This is a wonderful item to have on hand. You can use it to display a powerpoint presentation in situations where you cannot use your computer. It is also perfect for setting on the counter and displaying “make and take” recipes during a workshop/class/event. Sheet Protectors, Three Hole Punch for Flip Board, Box of 50 — While the flip board does come with presentation sheets, they are a bit flimsy, these are a bit more clear and have a nice size pocket that allows you to place the paper in and out of the sheet protectors (presentation sheets). One box contains 50 sheets, take out the sheets that come with the flip board and replace them with 10 of these. Roller Bottles stainless steel ball insert, Cobalt Frosted Blue with Black Lid, Set of 6 — Many of Young Living’s essential oils should be diluted — especially for beginners — these roller bottles will help you remember to explain diluting to your new member. They are also quite lovely to look at! Don’t forget the labels (see above for the link or click/touch here). Carrier Oil — Of course, Young Living’s V-6 is a viable option but some may be sensitive to the wheat germ oil that is in this particular product. If this is the case, or just to be safe, you may want to select a carrier oil that is a bit more “hypo-allergenic” in nature. Jojoba oil is a great option, click/touch here to order jojoba oil. This entry was posted in DIY, Essential Oils, Family, Gift Ideas, Labels, Lifestyle, Marketing Material, Resources, Vendor Events, YL Promo and tagged Diffuser Necklace, Dryer Balls, essential oil, Essential oils, Gifts, Incentives, Join, Membership, New Member, Team, The Oil Posse Team, Welcome, Wool Dryer Balls, Young Living on July 18, 2015 by Jordyn Lei.